Along with Emergency Departments across the state, Cooley Dickinson has seen an increase in people who present with mental health emergencies. According to a 2013 Centers for Disease Control and Prevention report, the number of emergency department visits associated with mental health disorders is increasing in the United States. In 2015, a new mental health area within the Cooley Dickinson Hospital Emergency Department opened to patients who are experiencing psychiatric emergencies. The four-bed “pod” is a calmer, safer, more controlled environment where a subset of Cooley Dickinson’s Emergency Department patients—roughly 10 percent of the people who visit the ER each day—can be evaluated and receive treatment. The addition of the pod allows for an improved delivery of care that focuses on patient safety and privacy. 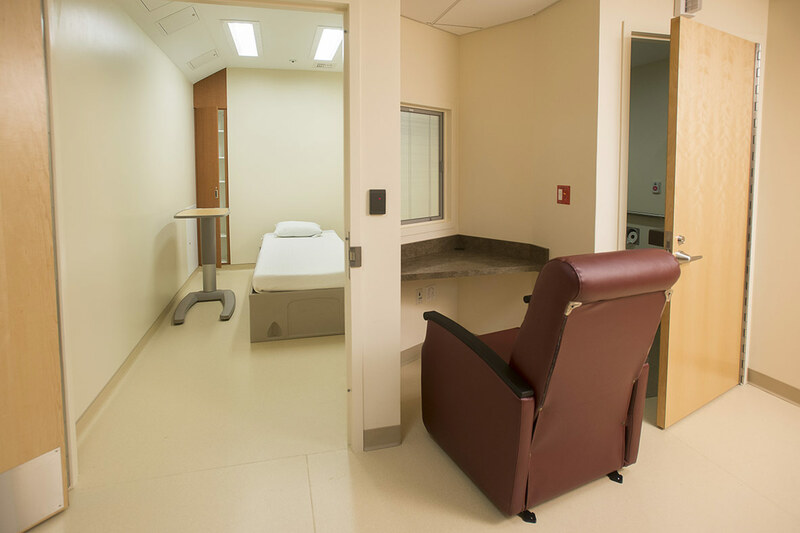 In these “safe” rooms, beds are secured to the floor, TVs are in cabinets with shatterproof glass, and nurses and technicians observe patients via monitors. Patients who are eligible for the pod have been evaluated by an emergency department physician; assignments to the pod depend on an individual’s mental health symptoms. Symptoms must not be related to a medical problem or require medical monitoring, such as heart monitoring. The staff members who work in the pods include emergency medicine-trained registered nurses and behavioral health technicians, and are trained in trauma-informed care, an approach that realizes the widespread impact of trauma and understands the potential paths for recovery. 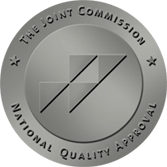 In addition, staff cross-train and work on the inpatient behavioral health unit at Cooley Dickinson Hospital. These tools can offer self-nurturing choices for prevention and crisis de-escalation. Cooley Dickinson’s goal for emergency mental health patients is to facilitate their admission to Cooley Dickinson’s inpatient behavioral health unit, transfer them to another facility, or discharge them to home or family care.